At the end of WW2 the Germans had a ÜberTank Program called “Maus”. This tank was twice as big as a M1Abrams but only two existing Tanks were finished at the end of the War. The Assault General could have improved this design for his own purpose. 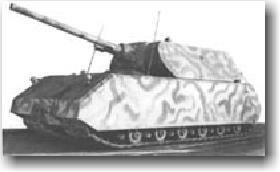 It’s armed with one big 140mm long range Cannon and an co axial 80mm Cannon (the SA-80 Gun could be used there) and I suggest to give it several optional Upgrades with stolen Technology aslike the Overlord has them, like: Quad Cannon, Avenger Laser with Laser defense, an Artillery Option (Firebase, Inferno, Nuke, Tomahawk,…), Propaganda Tower, Radar and a Bunker. As Salvage Upgrade I’d suggest sponson Gun Towers on both sides of the Tank. A Toxin Sprayer would do good for example. And as a second Upgrade thiker Armour or bigger guns. Wheres the gore n blood from humans? U mean 1 does nt hv blood??????? Every game has its flaws and so does every mod have its bd points. One thing im annoyed abt is y the Aurora Beta is flyin bout the same speed as norm. planes, cretor plz make it REALLY appear faster! Hypersonic isnt tt slow! Aurora Alpha 2!!! No i disagree, in fact, i find it easy! (lol rhymes) Build tons of Nuke Hunters and Overlords and line base with Nuke Cannons and Nuke Helixes with MANY Nuke detonators upgraded. The Nuke General's Nuke Silo practically kills anything (and i mean anything) on the map within its radius! hhmm, ill give that a try its hard when you only get 1000 to start off with! his nuke is sweet, original and just damn powerful! Laser planes lasers should destroy lasers with one shot instead of 2. Should have Advanced Air Field (store 4 planes and is bigger than normal airfield, 2 times the size of normal airfield) for bigger aircraft like the Hercules Transport instead of normal airfield. All Auroras, Aurora Alphas and Betas should really appear much Faster than other planes. EMP Missiles should do more damage to aircraft since it no longer kills them with one missile. Laser Strike Skill should receive relevant upgrade from Argon lasers upgrade and thus turns green in color. Blood and gore when infantry get hurt by bullets and explosions. All machine guns/Gattling weapons (all bullet firing units) should do more damage to infantry. Aircraft/ Helicopters and the Spectre Gunship should deal damage to units or structures they crash into! So what do you guys think bout the proposals? Flame General shoudl become Naplam/ECM General and possibility of changes above. Cybernectic General should be Tomahawk/Cybernectic General And Coluster Tomahawk should thus come in 3 levels and he should have the Tomahawk fire base and Super Weapon General have some other Fire Base defense. GLA Assault General should have more damaging units to fit the asault theme well in doing big damage in a single, swift assault. Scud Storm should have a different look for a nice GLA Assault General twist in it. Good ideas... Should be good to have a stick topic to post suggestions..
Should be good to have a stick topic to post suggestions..
Take the Magic: The Gathering 'What Color Are You?' Quiz. You guys suggest good ideas. I post here rarely, but I consider every suggestion and I will definetely implement some of them. But my first goal is gameplay. For example, lets take aurora bomber. Increasing its speed will make it more powerful. Consequently, its cost must be increased. Aurora cost $2500 already. Don't you think it will become too expensive? The same is with other ideas. I will implement them if they will not destroy gameplay. Actually, regarding all 3 Auroras i just suggested making them appear faster as in visibly faster than Raptors... Not saying you have to really make it faster than supersonic just for realism. Creator, how bout making infantry slightly smaller for more realistic gameplay. Or make all buildings, tanks and other non-infantry units bigger so infantry size will be just right? Actually, i meant that flame general should have slightly better ECM capabilities. What superweapon general has is EMP not ECM (Electronic Counter Measures) So having ECM Emitters for aircraft help dodge some missiles and rockets and aircraft can even act as make-shift ECM Tanks when put to guard over important structures you dont want getting destroyed by ROCKETS AND MISSILES ONLY. Also, these ECM Emitters should be slightly weaker than the ECM Tanks for balance. I don't want to make infantry too small. Yes, it will not be realistic, but units have to be big enough for player to see and easily control them. Units that are smaller than mouse cursor is suxx. Edited by Creator, 12 February 2005 - 09:05 AM. How bout making tanks and aircraft and structures a little bigger? would it be possible to make generals challange maps for the new generals and the demo and Infantry? Than make both tanks/aircraft and buildings bigger!